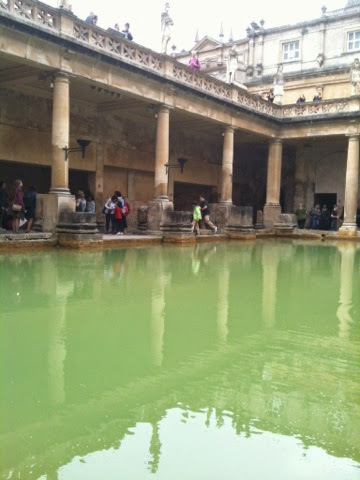 Roman Baths: Touristing in Bath! - What's Katie Doing? This time mum decided we should do some touristing – interesting fact, but if you are a Bathonian then you get free entrance to a lot of the tourist attractions with a special card proving that you are a local. That made me the only person actually paying for today’s sight seeing! 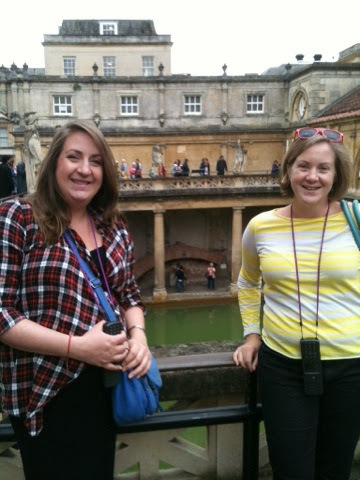 Me, my sis and mum headed to the Roman Baths – we’ve been to the current spa loads, so it was time to get historical – the first time I’d been and the first time in about 10 years that they’d been. 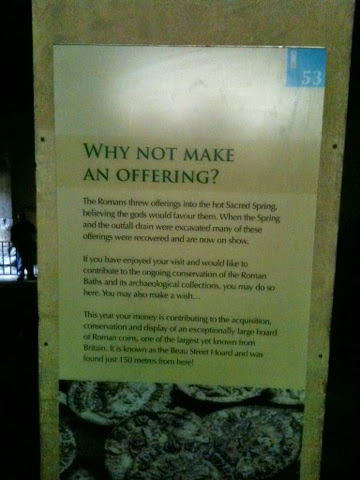 You pay £14 if a non resident and everyone gets their own personal audio tour that includes stories voiced by Roman characters for the kids and additional ‘impressions’ by Bill Bryson. 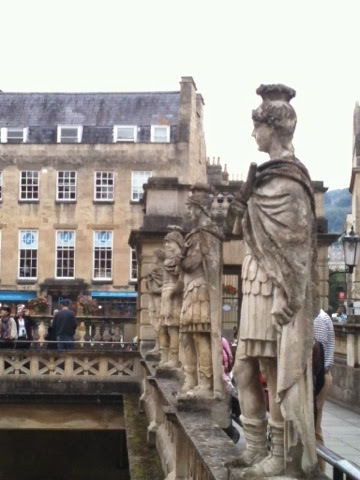 You start the tour at ground level – which is a level above the Roman baths – so you get to peer down on the Great Bath from the newly built terrace. 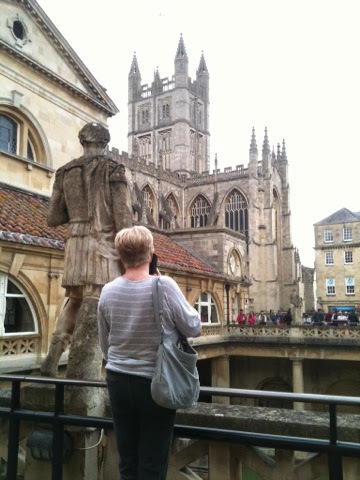 Mum listening in and unintentionally mimicking the statue’s pose! You can see Bath Abbey in the background. 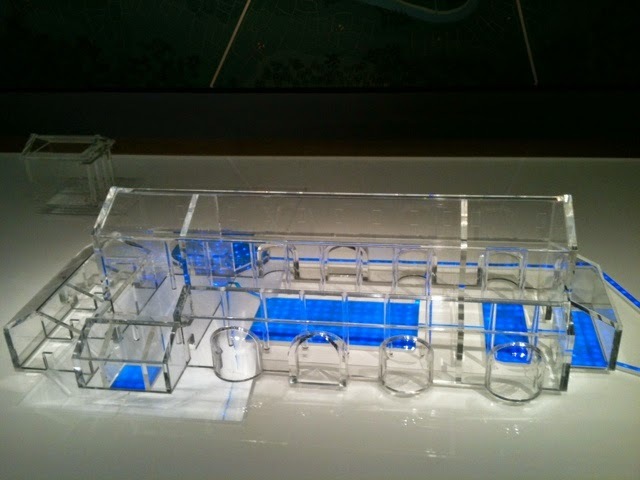 The exhibits in the main part of the museum are varied – here you see a model of the bath buildings and water flow from the hot spring and then a model of the bath and temple buildings as they would have been decorated in Roman times. 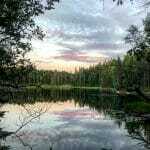 When they discovered the baths they also found the ruins of a much larger temple site around it. The Romans and early Britons didn’t understand why the spring water was hot – so their explanation was because the goddess Minerva lived in the spring. The temple grew around it as people came to worship a goddess where they knew she couldn’t ignore them! 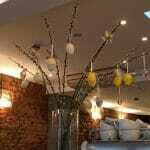 Lots of wishes written on metal were found in and around the spring as offerings. These wouldn’t have been in the form of prayers, but more like pleads for Minerva to punish people who had stolen from them. 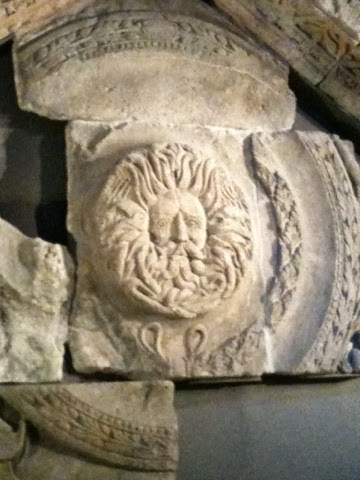 Detail from the temple pediment – archeologists aren’t quite sure but they think the head might be Neptune…. 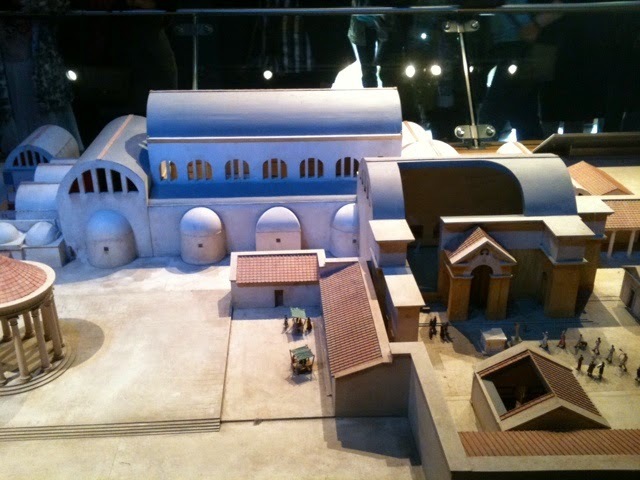 There are lots of ways to interact with the displays – the videos showing Roman life are captivating for all ages! 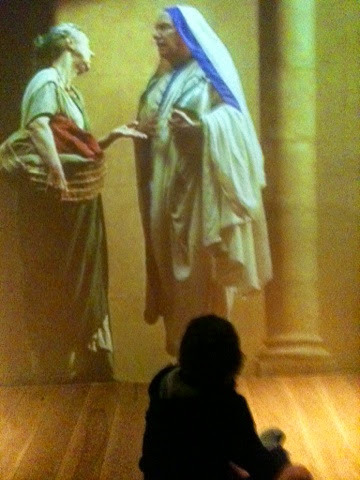 I enjoyed watching the Roman lady at her toilet with her slave dressing her hair. View from the water side, there were some actors in Roman gear welcoming people – I didn’t hang around for a picture though… not quite a full tourist yet! We managed to join a guided tour of the baths at 1pm – the guide was very good at engaging with the children in the audience and took us around the changing room, the tepid room and the hot room. 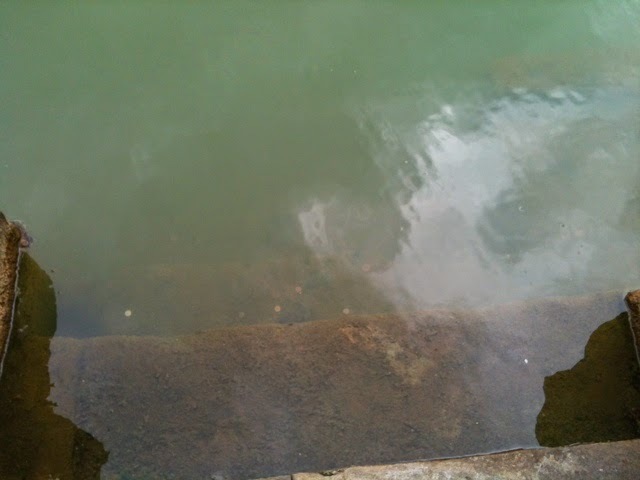 This is where the Romans would have cleaned themselves with oil and scrapers before they got into the waters. I would definitely recommend the Baths for an excursion for the whole family – there is plenty to keep all ages entertained, to see everything you need about 2 hours, but of course you can spend longer, try and catch one of the guided tours for extra colour. 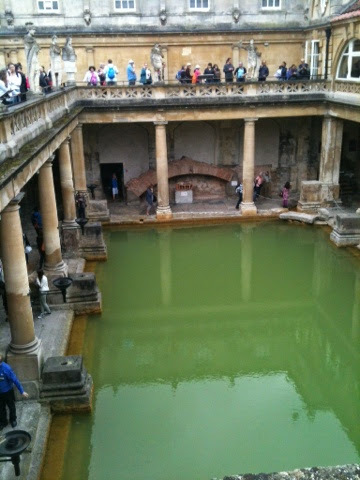 Where today’s offerings of coins thrown into the baths get used…. Currently to preserve the largest hoard of Roman coins found in Britain.